I am beginning to think that somewhere in the “How to run awards guide” there’s section that says that all well run awards should have controversy. I am talking of course about Christopher Priest’s opinions on this year’s Clarke Award shortlist. His post is here. It’s was rather ironic that I had just finished commenting on a blog about how nice writers are generally to one another, when I read Priest’s passionate attack. Now, quite a few people have responded and in the main it appears to have been fairly even handed. Charles Stross, one of the authors that copped a shellacking, took it squarely on the chin and responded in a cleverly disarming way. There’s even been some joy over the fact that one can still have such passion for the genre that they feel free to let the world know and damn the consequences. From my own point of view – sure Christopher is entitled to his opinion, it’s informed by both his length of time as a writer in the genre and by the quality of his work. I love dissenting opinion and rigorous critique. If an author puts it out there they have to take what comes their way by virtue of the work they present. But when the commentary turns personal, when it goes beyond a thing that we can examine and criticise, then it’s really nothing more than insult and possibly strays toward libel. Andrew Butler has thus endorsed the decision of the panel, and therefore reveals himself as incompetent as the others. The present panel of judges should be fired, or forced to resign, immediately. Their names are Juliet E. McKenna, Martin Lewis, Phil Nanson, Nikkianne Moody and Rob Grant. Chairman Andrew M. Butler should also resign. These people have proved themselves incompetent as judges, and should not be allowed to have any more say about or influence on the Arthur C. Clarke Award. Priest has a privileged position as a reviewer, writer and author. He has influence both within the genre and outside it. His comments have the potential to impact on the career and earnings of those involved. Now his defence maybe that “their incompetence” is the truth, but I wouldn’t be confident of going to court with the case he’s outlined. All in all a bit of a fiasco. There’s some comfort to settling in to listen to Gary and Jonathan ramble but its also good when they take advantage of being on different continents and close to big events. Episode 94 was recorded partly at the International Conference on the Fantastic in the Arts. Gary K. Wolfe rings in with Andy Duncan and Karen Joy Fowler to discuss genre, short stories, writing novels. Episode 95: Recorded at the same event features additional non-ramblers in the form of Ellen Klages, Karen Lord, and Nalo Hopkinson. I have just finished reading Kate Forsyth’s new book Bitter Greens, so when I get a spare minute to pen my thoughts I will be offering you, my dear readers, a review. In addition to this, all things going according to plan, I hope to also interview Kate for Galactic Chat. So to whet your appetite I offer you a Random book talk interview where Kate talks about Bitter Greens. I like spread the meagre dosh I pay out on ebooks around, supporting stores or presses like Twelfth Planet Press, and Morrigan. I was somewhat perturbed, however, when I went to spend some money on Cheryl Morgan’s Wizard Tower Books only to find it closed for maintenance. All is well though as Wizard’s Tower Books is back online with a new and improved look. Please take some time to check the store out. Cheryl is a wonderful asset to the world speculative fiction community and her choice in stock is backed by years of experience. Mary Robinette Kowal’s Shades of Milk and Honey ebook is on sale for under $3. I bought mine through Kobo but its also available on Amazon AND available to fans in Australia. It’s English Regency meets fantasy, so if you are a fan of Austen or Georgette Heyer you might like this one. I’ll let you find your own way to Kobo or Amazon. Its on sale until the 6th of April. In this day and age, it’s exciting to see a specialist book shop like Notions Unlimited opening up. Good luck to Chuck and the Gang. Many of those interviewed spoke about what they liked in a bookstore – specialised service, knowledgeable staff and welcoming environment. I have to agree, one of the great downsides of living remotely is that I miss my favourite bookstores and the relationships and friendships you make with like minded people. This has been out since the start of march. In case you have missed it here’s the latest production diary from the crew working on the Hobbit films. Makes me think that I will have to visit New Zealand before I die. Having wrangled possums out of my roof and engaged in some amateur archaeology (the house is 120 years old, very interesting the things you find discarded in your roof – 32 volt wiring, false ceilings) I sat down to scour the fan production category of the Ditmar Eligible list. And I am finding some absolute gems; fan work that probably should see wider circulation or maybe it does. It just doesn’t get to me. You see I have lived in relative isolation my whole life. Growing up in Alice Springs I was well into my teens by the time we got commercial television. I only have 3-4 early copies of Aurealis because newsagents seemed to get them in intermittently, and its always been too bloody expensive to go anywhere from Alice Springs – still is in fact. The Internet coincided with the start of my university degree and here I am nearly 20 years later, in the middle of a wheat field in rural SA, having just finished an interview with an award winning novelist, in another country, via Skype( that cost me nothing). The world is at my fingertips or it should be. I am reading Issue 82 of SF Commentary, part of the 40th Anniversary Edition. Yep a fan mag that has been running 40 years. And I am blown away by the history, the quality of the writing and the contributors. Last year’s editions are available free of charge online here. I can’t help thinking though that we should be paying for this stuff and that a blog web page with web 2.0 functionality advertising its existence, wouldn’t be too bad an idea either. Working out how to make it available in ebook formats might be worthwhile as well. Indeed perhaps this is a topic for a fan panel/workshop? This sort of work deserves wider distribution. I am not convinced that the internet necessarily expands the SF & F community, rather than just creating a community that just happens to exist in Cyberspace. Your thoughts? I have just finished editing an interview with New Zealand author Helen Lowe for Galactic Chat, so keep your eyes open for that one. In the mean time if you have never heard of this well regarded Epic fantasy author you could head on over to her blog where she’s having a massive giveaway to celebrate the release of book two of The Wall of Night Series – The Gathering of the Lost. 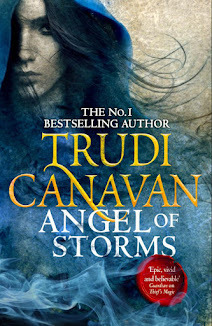 Helen’s been favourably compared to Karen Miller, and Trudi Canavan and should appeal to fans of Robin Hobb and Kristin Cashore. You will find her blog and the competition here. The trailer for the new season. Kindly brought to my attention by Mr Mannering. This collection has only just come to my attention and features a couple of authors that I follow via twitter. 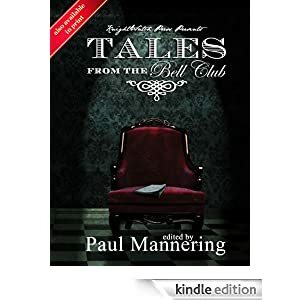 Tales From The Bell Club, is published by Knightwatch Press and edited by Paul Mannering. It includes Australian authors Jason Nahrung and Helen Stubbs as well as New Zealand writers, who I am ashamed to admit I don’t know of. I was perusing the specials at Booktopia this morning and cam across this special deal they are offering for Tim Winton’s Cloudstreet . This is a very special celebratory edition of this quintessential modern Australian classic. A collector's piece, each copy of this limited edition numbered, slip-cased, section-sewn hardback is personally signed by Tim Winton. The production values on this beautiful edition are exceptionally high. The book is printed on pristine paper in three-tone text with silver end-papers and pearlescent jacket and slipcase papers, with spot gloss on the box itself to give an enamelled look. The printing on the spine is in gold foil. This is edition is both for collectors and investors. The retail price- $250. Booktopia's price $199 . Now most people I know don’t have that kind of money for a book. But I do know people who will shell out money on collectors items. So my thinking is; is this the future of the book, or at least the hardcover? As the uptake of eBooks increase are we likely to see more collectors editions? Is there an opportunity for book binding artisans to create hand bound works of art? Greg Chapman comments on a raft of awards in his post, the Awards season and Trudi Canavan chimes in with It’s Aussie SF Awards Time Again. In addition to this I give you another fanzine discovery – Interstellar Ramjet Scoop a fanzine edited by by Bill Wright. You can find the index of past issues here. Please join me in congratulating the crew at Luna Station Quarterly for entering their third year of publication, beginning with issue number 9. I think I may have mentioned previously how enlightening and enjoyable it was to peruse the Ditmar Eligibility list and find myself astonished at how much I had missed. I like to think that being plugged into Twitter, Facebook, and signed up to 200+ RSS feeds, that I have my finger somewhere near the pulse. The trouble is that Australia is big and our writing communities spread out across the country. I’d like to think that social media and the internet brings us closer together, but I’m not sure if it doesn’t just allow us to meet people we like and form other small communities in Cyberspace. But getting to my point. I’d like to bring to your attention, a fan publication that without talk of Ditmars and Twitter, I wouldn’t have known existed. The Dark Matter Fanzine is compiled and edited by Nalini Haynes, it’s a labour of love that she and her supporters have managed to keep going since October 2010. In this age of multi author blogs with no fixed publication and fast turn around it almost feels like a harking back to an earlier time when we had to wait for our content. Nalini has put in a mountain of work, the Magazine is eligible for a Ditmar. You can checkout the past issues here. Now you don’t have to have read a mountain of books to nominate for the Ditmars, the only thing you need to have done(besides being a fan) is read an enjoyed one book. I have read two of the above – I would have no hesitation in nominating either. Police have broken a child canniblism ring headed by the mysterious B.B. Wolf and a Ms Rapanzel formerly of Tower View road has been indicted on several charges of smuggling low cost hair extensions. 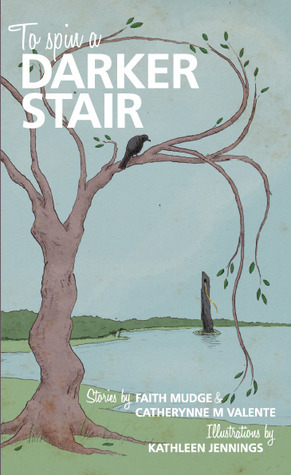 To Spin A Darker Stair features stories by Catherynne M. Valente and Faith Mudge, and is illustrated by Kathleen Jennings. The ABC has also been running snippets of their Re-enchantment project which takes a rather mature look at various fairy tales, examines their origins and themes – great for fans of fairy tales, or Lanagan-esque reinterpretation. The children are e sacrificed in part out of murderous resentment and in part to ensure their parents survival … Even when a tale half-heartedly exonerates one or both parents of malice by implying that abandoning the children is the lesser of two evils, the children are left to fend for themselves because parents have been too incapacitated to provide. One way or another, the parents are to blame and begin to emerge at the least as monsters of negligence. The stepmother will not be the self sacrificing, all giving mother of romanticised poverty; she has been reduced to her darkest instinctuality and she will abandon her children as a matter of survival; it is her life or theirs. Children were abandoned throughout Europe from Hellenistic antiquity to the end of the middle ages in great numbers … Parents abandoned their offspring in desperation when they were unable to support them, due to poverty or disaster; in shame, when they were unwilling to keep them because of their physical condition or ancestry (e.g. illegitimate or incestuous); in self interest or the interest of another child, when inheritance or domestic resources would be compromised by another mouth; in hope, when they believed that someone of greater means or higher standing might find them and bring them up in better circumstances; in resignation, when a child was of unwelcome gender or ominous auspices; or in callousness, if they simply could not be bothered with parenthood. In the 1690s, at the height of the worst demographic crisis in the seventeenth century – at a time when plague and famine decimated the population of Northern France … corpses were found with grass stuffed in their mouths and mothers “exposed” the infants they could not feed so they got sick and died. The site is flash heavy and contains videos and interviews with experts. It’s well worth dipping into. Warning: Do not drink/eat and listen to this podcast at the same time – potential choking hazard. 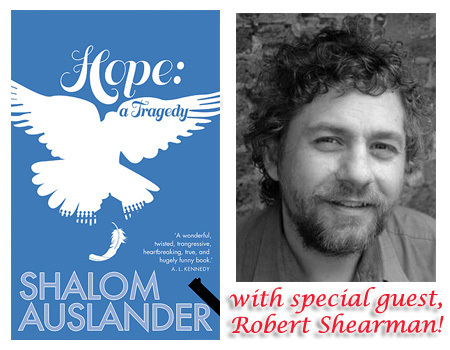 In this instalment Kirstyn McDermott and Ian Mond invite UK author Robert Shearman (the guy who wrote Dalek). They chat about his recent adventures at the Adelaide Writers’ Week (where I briefly met him) but discussion about Ian’s sleeping habits competes for the highlight of the show. Still growing to love the Vox. I have had some issues with the Kobo App not presenting certain publications correctly. It’s usually that the hyperlinks within in books don’t work. It’s especially annoying with magazines like Aurealis and Asim which I don’t read in order. My first solution was to load up Aldiko and Bluefire reader apps. They worked but loading the files on was a mess around. Initially I couldn’t locate the files to load into the apps. To read a book in Aldiko I had to load it into the Bluefire reader app and then use Aldiko to find it there. A finicky process, with a simple solution in the end. I uploaded the magazines to the Booki,sh service and then accessed them through a bookmark/app on the home screen. By far the most enjoyable discovery has been Handbreak, not even an app, but a bit of free compression software that will allow you to compress movie files to formats usable on a number of small handheld devices. I know some DVD suppliers are now providing file copies when you buy the DVD’s but there doesn't appear to be any service that will provide compressed movies to be watched on handhelds. I would think that with the number of handheld devices in circulation that someone would make a killing on renting or selling 300mb versions of popular movies. So yes I have been converting my DRM free titles to watch on the Vox. Showtime, the latest collection in the Twelve Planets Series is available via Goodreads as a giveaway. Now for reasons that I am not sure about the giveaway has been split into UK/US and AU. So Australians (50% of my readership) go here. Northern Hemisphere readers go here. Thus we are introduced to our protagonist, a young woman on the verge of becoming the leader of the squabbling Turasi Clans. To say she is wholly unprepared for the events of the novel is an understatement. Shadow Queen is a pacey political thriller in a fantasy setting. Our protagonist Matilde is to take the throne and rule over the Turasi. Before she can claim it, she is usurped by the leader of a renegade clan and in an effort to survive the slaughter of her entire line, offers herself in marriage. Her life hangs in the balance at almost every decision and forced to make decisions with her naïve understanding of politics, she often ends up getting into more trouble. Kalin is merciless in placing her protagonist in dire straights from beginning to end. A consequence of this, is of course, that while we are constantly on edge we are also screaming at Matilde not to be so blatantly naïve. I love that our protagonist rarely wields a weapon, or becomes Xena Warrior princess to achieve her aims. It is of course set against a backdrop of impending war, but Kalin has done a great job using psychological tension and the interplay between characters to ensure that neither Matilde nor the reader really have a chance to catch their breath. If I were to contrast this against Brandon Sanderson's latest which aims to achieve similar things ie female protagonist, more political and psychological tension than grand battles, I’d have to say that Kalin comes out on top. The world of Shadow Queen is broadly painted. I can see Anglo Saxon influence in the Turasi, Monghols in the Skythe Tribes and Romans in the Iltheans . Kalin gives us sign posts rather than detailed histories. She wants our focus on story and character. Kalin succeeds and the result is pacey and emotionally enticing. Matilde is believable, a young adult thrust into leadership and woefully incapable of playing the political game. But she is a survivor and one gets the impression that she will learn, if painfully so. Shadow Queen strikes me as a mature work, not a debut novel. Its pace and ease of reading feels more like the work of a journeyman than a novice. I am looking forward to more of Deborah Kalin. I have made some minor changes to the blog. You will note in the top right hand area of the page I now have page links to my Authors and Social Media Series from last year and I have also included a link to my Australian Women Writers 2012 Challenge. Both of these “pages” are just links to prefilled searches via the tags I have on my posts. The posts will appear chronologically. Hat tip to the very busy Sean Williams for this news story. Baen have released an anthology by John Joseph Adams called Armoured( in ebook form here). PART HUMAN. PART MACHINE. ALL SOLDIER. The cover artwork above is by the talented Kurt Miller. Note the gender breakdown is 27.1% Female 72.9% Male. [Edit this question now superfluous]Note that none of the talented female writers were used in the blurb. Is that a marketing decision? Is military science fiction an sub genre that women write in in sufficient numbers. Comments? Well they are out. Here’s the list sourced from A Conversational Life. It was a very tough field from all accounts. The Horror Novel section was a little light on it seems but the other shortlists are full of strong contenders. I will highlight the one’s I have. Congrats though to all who made the shortlists. Feel free to discuss your hopefuls in the comments. I am not a big fan of courtroom dramas, I have vicarious experience of the world of lawyering and it never matches the hype that you see on television or read in books. Thankfully and skilfully, Landay keeps the courtroom scenes to a minimum, using deftly placed cut scenes to heighten the drama and to provide a balance to the first person narrative of the book’s protagonist Andy Barber, Jacobs father. Jacob Barber is on trial for the murder of Ben Rifkin a classmate and bully. Andy Barber, his father is or was the Assistant DA and his involvement early in the case complicates matters somewhat. Combine this with a young prosecutor eager to have a career launching case and community that treats the Barber’s as outcasts and you have a drama that is impacting the protagonist at every turn. Did Jacob do it? It’s the question that the reader is confronted with before even opening the book. Landay draws us into Andy Barber’s life, his family and his dark past. As the mystery of who killed Ben Rifkin unfolds we watch his family implode. The first person narrative is perfect for this story. Landay draws the reader in close, an invisible observer on Andy Barber’s shoulder and by the end of the book, emotionally if not rationally you are as reluctant to see Jacob as the murderer as is his father. Though lacking the pacing of a thriller novel, there’s never a lull in tension. The reader as with all mysteries, is constantly trying to piece any clues together and Landay never quite hands you the full answer. Much as in reality the truth can be hard to determine. In summary, it’s a fine, suspenseful drama that will drag you into its confidence, a book that you will have to finish. The end holds a twist, but for some reason I didn’t find it as emotionally gripping as others have. Nonetheless it will leave you pondering, weighing probabilities and questioning your judgement. This book was provided to me at no cost by the publisher. 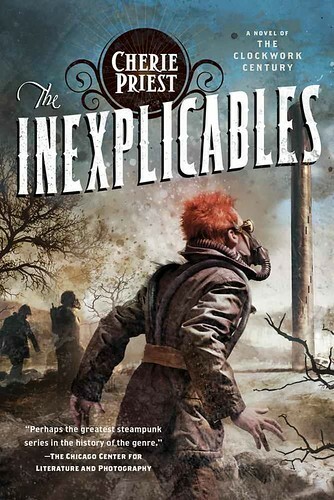 The Inexplicables is another book in the Clockwork Century line from mademoiselle Priest. It’s due out in the American Autumn and Cherie has kindle let us have a glimpse of the cover. The artist is Cliff Nielsen, not Jon Foster who did her previous covers. Rector “Wreck’em” Sherman was orphaned as a toddler in the Blight of 1863, but that was years ago. Wreck has grown up, and on his eighteenth birthday, he’ll be cast out out of the orphanage. Wreck’s problems don’t stop there. He’s been breaking the cardinal rule of any good drug dealer and dipping into his own supply–and he’s also pretty sure he’s being haunted by the ghost of a kid he used to know. Zeke Wilkes almost certainly died six months ago inside the walled city of Seattle. And it was Wreck who sent him in there. Maybe it’s only a guilty conscience, but Wreck can’t take it anymore. He sneaks inside the city. The walled-off wasteland is every bit as bad as he’d heard, chock-full of the hungry undead and utterly choked by the poisonous, inescapable yellow gas. And then there are the monsters. Rector’s confident that whatever attacked him was not at all human–and not a rotter, either. Arms far too long. Posture all strange. Eyes all wild and faintly glowing gold, and God help them all, it wasn’t alone. I can't wait myself; how about you? Advent is a retelling of the legend of Faust and as the author indicates above, the legend is sketchy.The book really only uses it for some salient facts, mixing it with the legend of Cassandra as a jumping off point. Advent alternates between the story of Gavin, an only child who has always been a bit different and the greatest magister the world has ever known Johannes Faust. Treadwell switches between the two, going backward and forward in time until their two stories converge, with nasty consequences. Gav is being sent away to the country to “holiday “ with his eccentric aunt and Johannes is trying to sail to England to avoid his prophesied fate. The writing was evocative. Treadwell gave me a very real sense of place, a magical country idyll, with sinister foreboding. Initially I thought it was going to be a Potter-esque tale, a coming of age story where the protagonist would become a great wizard, albeit with a darker, more mature edge than that of our friend from Hogwart’s. The story is for most of its length a mystery to be solved. Who is Gavin? Who is Ms Grey(his ghostly “imaginary” friend)? Why does his aunt never meet him at the station? Unfortunately this questioning, and atmospheric foreshadowing seems to go on too long. The story moves at too leisurely a pace. Our protagonist wanders in a daze, never really put under pressure until the last minute(50 pages). Impressive and evocative as the writing was, it wasn’t enough to sustain the story for me. In discussing the book with another reader, the subject of female characters came up. None of the depictions were very flattering - Marina is young vacant and prone to distraction, the Professor needy and on the verge of a break down, Ms Grey sinister, Mrs Jia a busy body, and Gav’s aunt a hair brained Wiccan. Gav’s mother is the most kindly portrayed and she’s out of the story early on. In summary, the writing is more than competent. There is any interesting weaving of Faust with the legend of Cassandra but the pacing killed my enjoyment. There’s been a few posts from authors already letting us know what they have produced that is eligible. I’ll append them on the end (including me). In essence our national Science Fiction award recognising Authors, Artists, Academics and Fans. Fandom is changing, as is publishing. Where once somebody would have sweated blood to produce a fanzine using the school work a photocopier and hand stapler, then posted them out to a mailing list. Now, well now we have even seen professional magazines like Aurealis abandon print and much fan discussion has moved online. While some may argue that since the barriers to publication have dropped, so have standards I'd counter with - access has improved and science fiction readers are a pretty diverse an sophisticated lot capable of sorting wheat from chaff. I hadn't thought about my own fan work until I came across Ian Mond’s post on Hugo categories here. Mondy challenges the category of Best Fanzine, arguing it could be replaced with Best Blog. It got me thinking. I actually hadn’t thought about it until I came across Mondy’s post above but it turns out I did some work last year that a) I am proud of last year b) is eligible for the Ditmars. You can check out the eligibility list here. If any of your favourite authors are missing (remember the rules for eligibility though) feel free to make a suggestion in the comments and I can add it to the list. The Ditmar rules are located here. Best Fan Writer for body of work including "Authors and Social Media" series at Adventures of a Bookonaut. Nominations can be posted here. You will note it’s a fairly comprehensive form and you have to be known, or active in fandom to nominate. My physical attendance at fan events has been limited until recently owing to living very remotely. But my blogging and participation online I believe constitutes being active and so should it for you dear reader, who may never have been able to attend a convention, yet contribute to the conversation through forum discussions, comments and perhaps your own blog/publications. There’s a swathe of eligible works, from people I respect and know, to people and publications I have never heard of. The more the merrier, we want a robust field to chose from. I harbour no illusions about my work, there are quite a few fans that have produced work that is professional all bar the money exchanging hands. I encourage you, if you are so inclined to check out the eligibility list, note your favourites or discover some new ones. I intend to go through the list myself and discuss some of the works I discover and post about them here. I will leave you with a couple of posts from authors who have commented on the Ditmars themselves, mentioning their own eligibility. Some in fandom feel uncomfortable about authors or those eligible mentioning that fact, as if by drawing fans attention to it, that it’s self promotion or campaigning, that there is a gaming of the system. I side with Paul Cornell on that idea. The more the merrier, the more we have to chose from, the more fans know about what works are available, the more robust the field is, the less chance of a mutual back slapping affair. On that note, I will not mention my own eligibility again. I will, as all good fans should, mention every author or fan I think is deserving of a nomination. Damnation and Dames is available for pre order here. It’s Paranormal Noir which has me wondering why it doesn’t feature a Peter M Ball story. Hat tip to Sean Williams for mentioning this Ticonderoga Bundle going cheap on Indie Books Online. Note they are all limited editions, selling at nearly half price. Almost all have won awards or have been heavily nominated. You can peruse the material sourced from the Indie Books Online below or head straight over their via this link Ticonderoga Bundle. In this anthology, Australia's finest speculative writers imagine what the future holds for the Australian worker. The ambitious first anthology from Ticonderoga Publications. Featuring stories from some of Australia's rising stars and a handful of contributions from respected veterans, this anthology marks the publisher's 10th Anniversary. Diomedes, Paris, Helen, Achilles, Agamemnon, Cassandra and Odysseus all feature in this collection of Simon Brown's acclaimed "Troy stories". 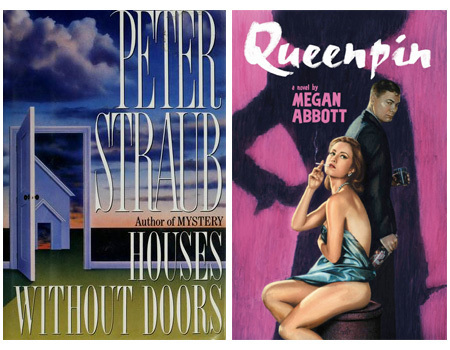 Since the early 1980s Simon Brown has engaged readers with a series of alternate takes on the Trojan War. "Love and Paris", "Imagining Ajax", "Why My Wife Left Me, and Other Stories, by Diomedes" and the brilliant "The Masque of Agamemnon" are collected here for the first time, alongside lesser known tales and the original novella, "The cup of Nestor". Collection features an introduction by Garth Nix, author of Sabriel, Abhorsen and the Keys to the Kingdom series. NecroScope Closes: It is with great regret that we announce the official closure of NecroScope: the Australian Zombie Review Blog. …author Deborah Kalin has joined the Twelve Planets series with a collection featuring her beautifully horrific story, “Wages of Honey”. One of our authors has had to bow out of the project, but we count ourselves lucky to be able to include Deborah’s extraordinary stories. Sad to hear that someone has had to bow out but the great thing about female talent in Speculative Fiction in Australia is that we have plenty of depth. I have a couple of Deborah’s books in my review tower1, and will hopefully get to interview her in the near future. Deborah Kalin (pronounced KAY l’n) is an Australian author based in Melbourne. She’s had a duology, Shadow Queen and Shadow Bound, published by Allen and Unwin. Checkout Booktopia for ebook and papeback versions. She can be found inhabiting her website here or under the cunning disguise of @debkalin on Twitter. “Dogmatic Atheist” and Sean throws a tanty.